My love of architecture stems from my introduction to the history of Europe’s cathedrals in my Jr. High art class. I was immediately fascinated with the structure, the building process, and the history of those amazing buildings and vowed to one day visit. I’ve yet to make that vow a reality when it comes to the cathedrals in Europe, but I have had the opportunity to visit several throughout the United States like the Cathedral of the Plains in Kansas, the chapel in New York City that served as a refuge for first responders during 9/11, and the Silent Night Chapel replica in Michigan. My frequent road trips often include a stop at a historic church or cathedral for a self-guided tour or quiet moment of reflection. One element that I always admire are the stained-glass windows that sometimes tell a story, like the ones found in Frankenmuth, Michigan at the St. Lorenz Evangelical Lutheran Church that was dedicated in the late 1800’s. The gothic revival-style church features windows made in Fort Wayne, Indiana and share scenes of church history. 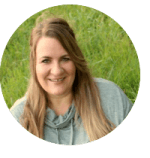 These include Martin Luther nailing his theses to the church door in Wittenburg which is the beginning of the Lutheran church, the story of the birth of Christ, and the beginnings of Frankenmuth, and beginnings of the United States. With autumn approaching, and temperatures beginning to fall, now is the perfect time to plan time indoors to visit historic churches near home or across the country. 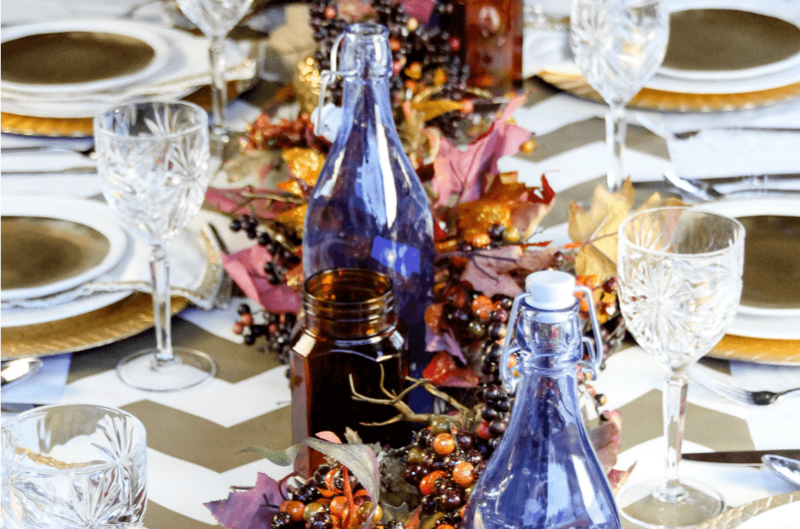 If you’re not planning to travel, you can use the inspiration from the stained-glass windows to create a great tablescape for fall entertaining. 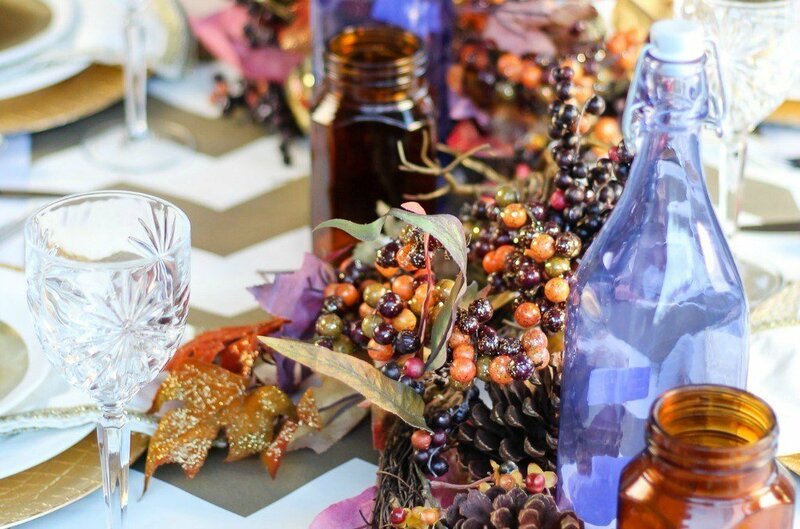 To create this stained-glass fall themed tablescape, you’ll want to gather a few supplies. 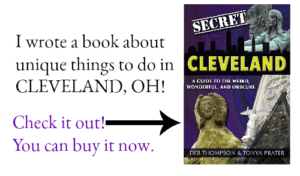 I’ve included links at the end of the post where the items can be purchased if you’re unable to find them locally. 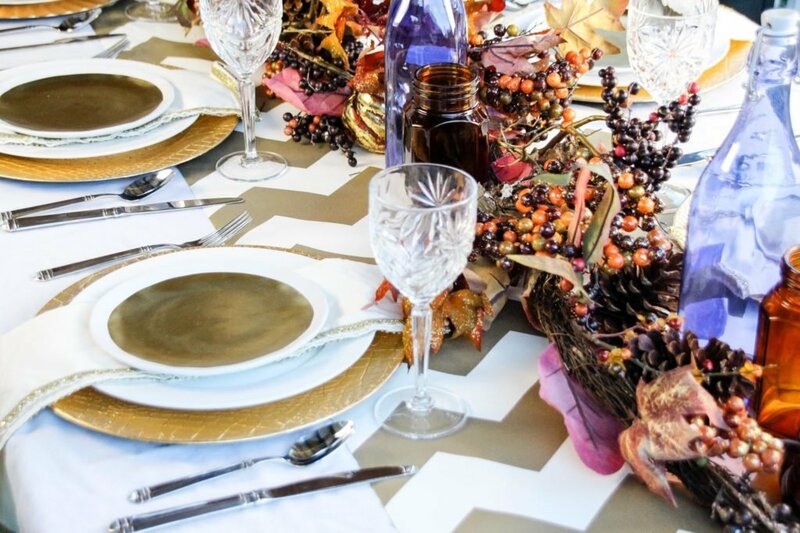 Start with the basics by laying a White Tablecloth across the table, followed by Gold and White Chevron Wrapping paper. Next, you’ll place a charger at each place setting, followed by a white dinner plate. 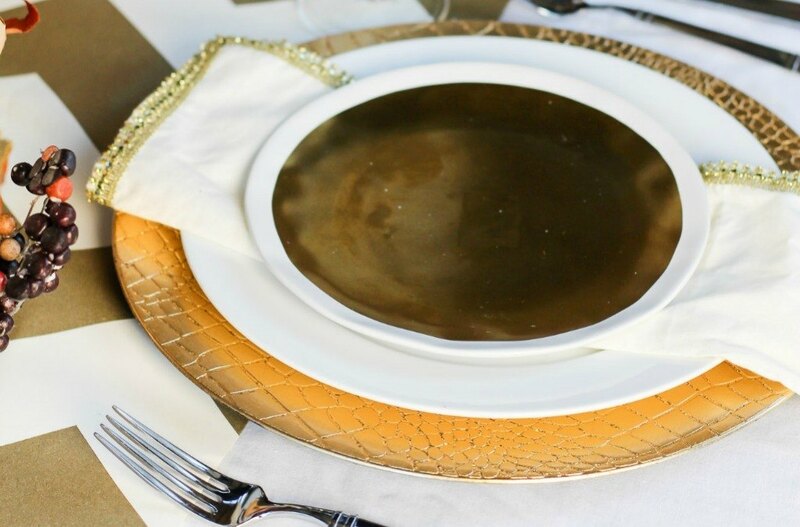 Add a cream and gold trimmed cloth napkin- or any color napkin that is similar. Don’t stress over this! Place the white and gold salad plate on top of the napkin. 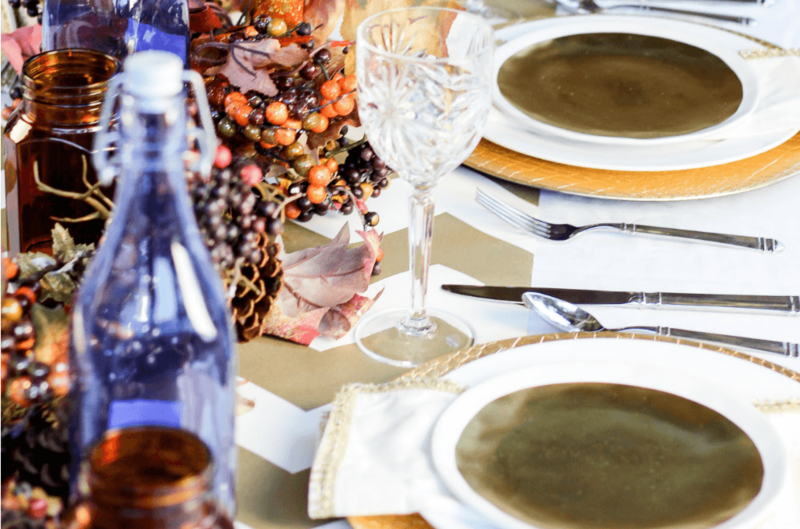 The ones shown were purchased at a Home Goods store when traveling, but if you’re in a pinch, a simple white salad plate will work and is versatile so it can be used for future tablescapes. 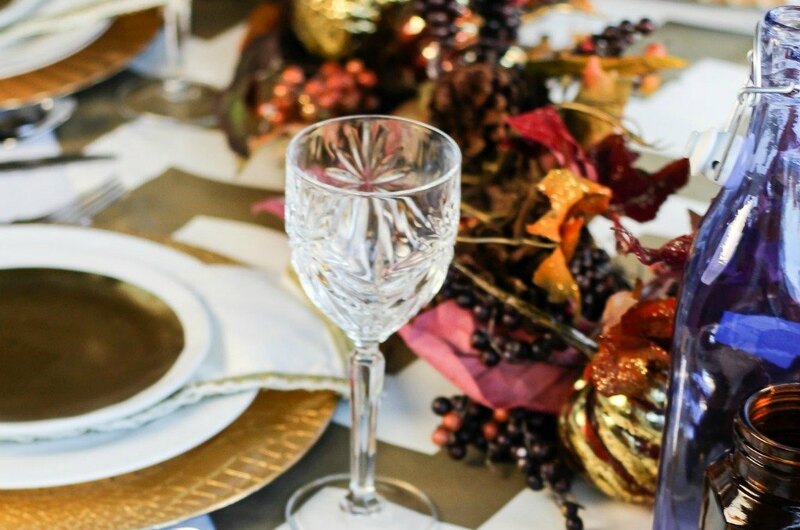 Add a goblet and silverware to the right side of each place setting, repeating the process until the entire table is set. Next, is the fun stuff! To create the center of the table, I used a gold, orange, purple, and brown garland. These are all Thanksgiving colors, and also colors you would find in a church with beautiful stained-glass windows. To make the garland look fuller, I added additional berries and leaves picked up at my local craft store. If you’re inclined, you could also look around your backyard for additional leaves and sticks to add to your garland. The fuller the garland, the better it will look on your table. I promise. 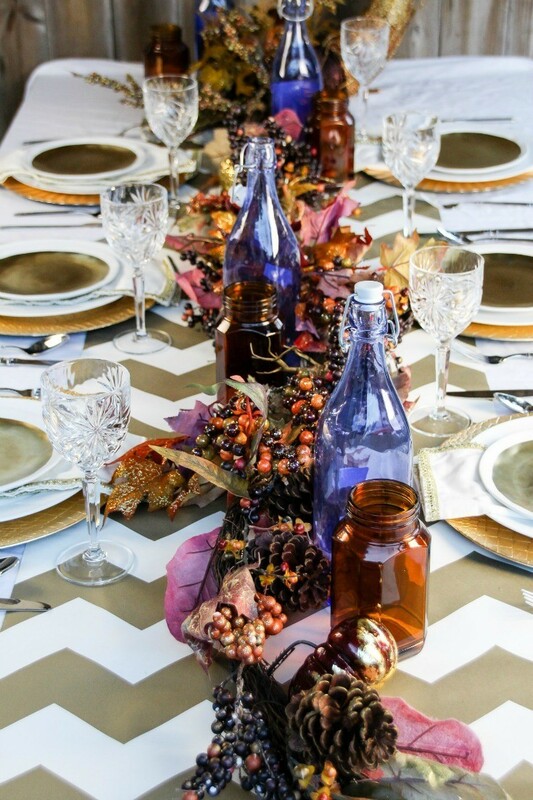 Throughout the center of the table, add a brown mason jar and a purple glass bottle. Repeat this process along the center and side of the table. You can also add tealights to the mason jars for ambiance. Towards the end of the table, I also added additional Thanksgiving related decorations that I picked up at my local craft store and gleaned from scouring the closet where I store seasonal decorations. And that’s it! You now have a beautifully decorated table that you should be proud to show off! 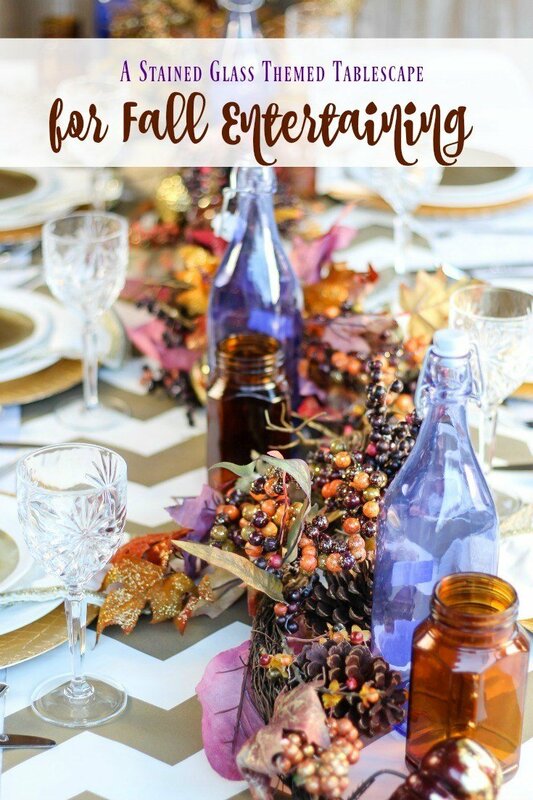 Do you decorate for fall or Thanksgiving get togethers with friends and family?